Are you looking for a more challenging (yet still accessible) yoga practice? Vinyasa is a flowing sequence of yoga poses that build strength and flexibility. Vinyasa is a great practice for experienced yoga practitioners as well as athletes who want to cross train. 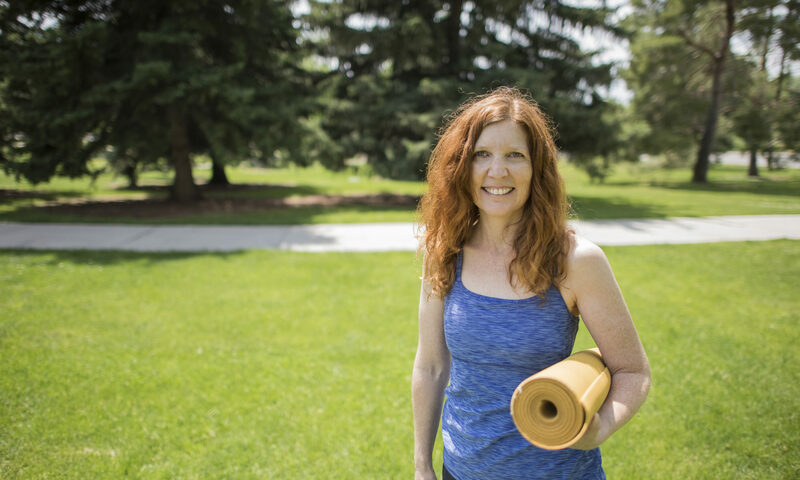 Erin’s Vinyasa classes move at a slower pace to ensure a connection of breath to movement and to give time for correct alignment in the poses. Mondays 7:00 – 8:00 a.m.
Start your day energized, without the caffeine jitters. This combination of hatha and vinyasa moves will leave you stretched, focused and balanced for the day ahead. AHEC, CCD, MSU Denver and CU Denver students, faculty and staff. Wednesdays 7:45 – 8:30 a.m.
Thursdays 11:45 a.m. – 12:45 p.m.